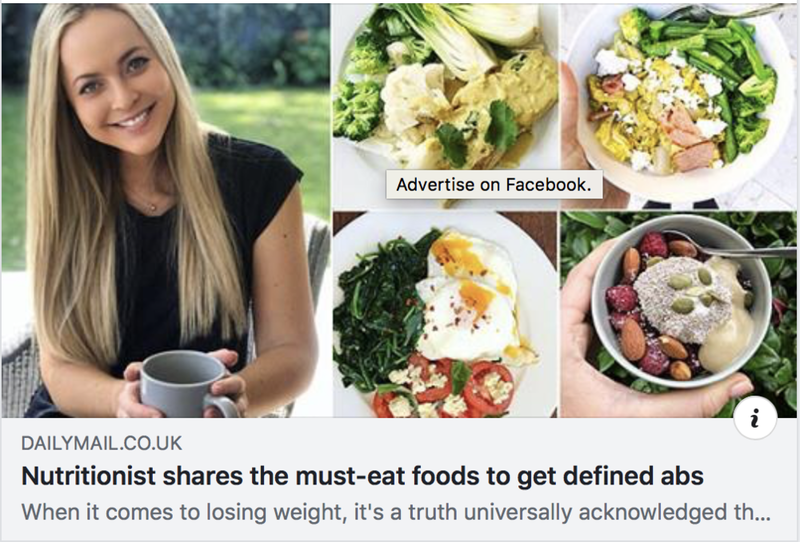 This article was recently picked up and adapted for the Daily Mail UK! The three pillars of health that I always hone in on and believe to be applicable to all of you are: weight loss, gut health and inflammation. Every meal plan design and recipe I create is carefully designed with these three areas in mind. Every meal that you eat should be an opportunity to nourish your body and optimise all of these areas. We all want to feel full and satisfied whilst maintaining a balanced weight and reducing our risk for disease in the future. So here are 6 of the foods that you’ll always come across and should include in your life. An Omega-6 to Omega-3 diet ratio that is too high contributes to chronic inflammation in the body potentially increasing your risk of various gut related diseases. Highly refined vegetable oils such as sunflower, soya bean, corn, cotton seed and peanut oils are all high in Omega-6 fatty acids. In today’s western diet, Omega-6 consumption is at its highest and scientists believe that a high consumption of Omega-6’s relative to Omega-3’s is pro-inflammatory. Concerned? This is easily fixed – you need to increase your consumption of Omega-3 fatty acids by eating fish once to twice a week as fish is one of the richest sources of Omega-3 fatty acids and is high in protein so keeps you feeling full. Another tip is to swap these oils out and focus on only consuming olive oil, coconut oil and grass-fed butter. Note: If you can’t fish, make sure you supplement with an Omega-3 source such as krill or fish oils. Dark leafy greens such as spinach, kale and bok choy are jam packed with nutrients such as vitamin A, C, K and E. Not to mention, they’re also very high in fibre and super low in calories, whilst full of anti-oxidants and anti-inflammatory compounds. Eating a diet rich in dark leafy greens is possibly the best thing you can do to reduce your risk of high blood pressure, heart disease, weight gain and mental decline. You can really eat as many dark leafy greens as you want knowing it’s doing your body wonders whilst helping you stay in your skinny jeans. Everything I said above relates to cauliflower and broccoli too, but did you know that they also have special compounds in them that help your liver detoxification process. Cruciferous vegetables like broccoli and cauliflower top the charts when it comes to foods that assist with liver detoxification. The better your liver works the better its ability to detoxify your body from harmful toxins and chemicals. Your liver also is also responsibly for metabolising hormones so if its function is below par, hormone imbalances (such as estrogen dominance) can occur. So, eating a diet rich in broccoli and cauliflower is a must! This is another reason why I love to serve my recipes with cauliflower rice, like in this recipe. Berries contain the highest concentration of anti-oxidants and anti-inflammatory compounds as well as being very low in sugar, compared to other fruits. Like green vegetables, they are low in calories but very high in nutrients and fibre, meaning that support weight loss and optimise gut health. That’s why I recommend them as one of the foods you should be eating regularly. Did you know: Anti-oxidants protect cells from free radical damage, which increases your risk of cancer, premature ageing and risk for other diseases. Eggs provide your body with every single amino acid that your body needs to function. Amino acids are the building blocks of protein. Eggs score high on a scale called the satiety index. This index measures the ability of foods to cause feelings of fullness and reduce later calorie intake. There have been many studies that have shown that eating eggs for breakfast over a grain-based meal (such as cereal) promotes weight loss due to this satiating effect. Studies have clearly shown that eating up to 3 whole eggs a day is perfectly safe for your cholesterol levels and there is no evidence that eating this amount per day is harmful. They’re effectively natures perfect food. Last but not least, the sixth food I recommend you eat on a regular basis is the avocado. Something interesting that you may not know, is that in order to actually be able to effectively absorb lots of the vitamins (such as A, D, E and K) from the above-mentioned foods, you need healthy fats, such as avocado. Avocados are also very high in fibre and potassium (more than a banana) which make them a gut loving and blood pressure lowering food. Although most of the calories in avocado come from fat, don’t be afraid! The fats are beneficial ones that help to keep you full and satiated. When you consume fat, your brain receives a signal to turn off your appetite. Eating fat also slows the breakdown of carbohydrates which helps to keep sugar levels in the blood stable. The more stable your blood sugars are the less cravings you have too. As you know, I never like you to go hungry, this is why I incorporate avocados throughout my recipes. It’s no surprise that all these above foods feature heavily in my 3 Week Body Reset Plan. A macro nutrient controlled, results driven plan, designed to help you slim down whilst kicking sugar cravings, optimising your gut health and reducing inflammation.